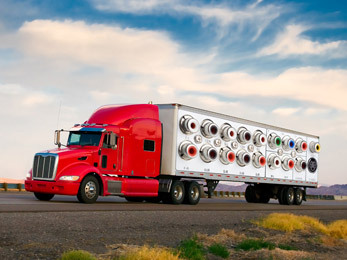 We take the worry out of shipping your AV equipment nationally or worldwide. Our team of AV transport specialists utilizes our Global Network of Specialized carriers and service providers to transport, clear, store, and deliver your equipment – from dock to convention doors, stadium floors, arenas and hotel ballrooms. The critical nature of event production insists that the show go on. When there is an audience waiting - everything has to be there. TransAV’s unique combination of experience and creativity make it the first choice in AV/Event Production Logistics and our full menu of services allows clients to focus on what they do best - production. The next time you’re faced with a time-sensitive or seemingly impossible logistics task, let the experts at TransAV take the load off. Let TransAV support the unsung heroes behind the scenes to ensure the show does go on.